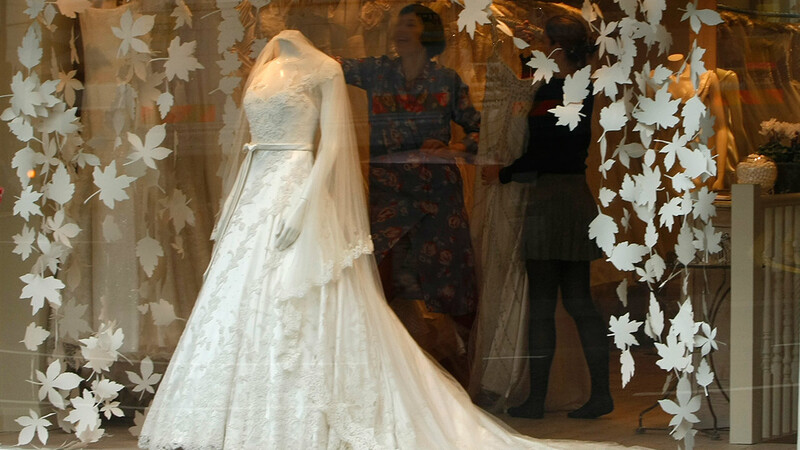 Who can deny the lure of the perfect wedding dress? Not little Rhys. Rhys, 4, couldn't resist jumping into his aunt's Tanya Malone's poofy wedding dress train as she began her walk down the aisle on her big day this past weekend in Ireland. The Irish Independent noted that while there was an initial moment of shock, the bride turned to smile at the boy, he was removed by a friend and she continued on her way down the aisle. The adorable moment captured on video was posted to Facebook and YouTube, and has captured the attention of thousands. Watch it yourself in the video below.